How Far is Sky Nethaji Nagar? 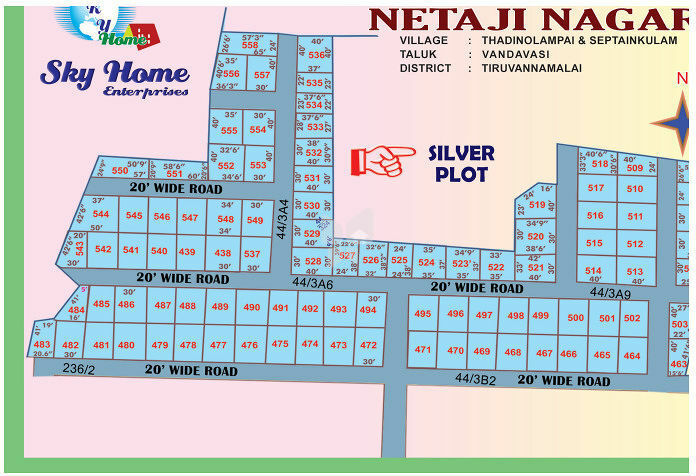 Sky Nethaji Nagar is a residential development in Thadinolampai & Septainkulam Village, Vandavasi Taluk, Tiruvannamalai District. It offers various odd dimensional plots. Register cost will be 7000 for 1200 sq ft.